'Boxing Is The Love Of My Life': A Woman Fights For A Shot At Gold : The Picture Show You could say Tyrieshia Douglas' boxing career began at 16, when she was arrested for street fighting. 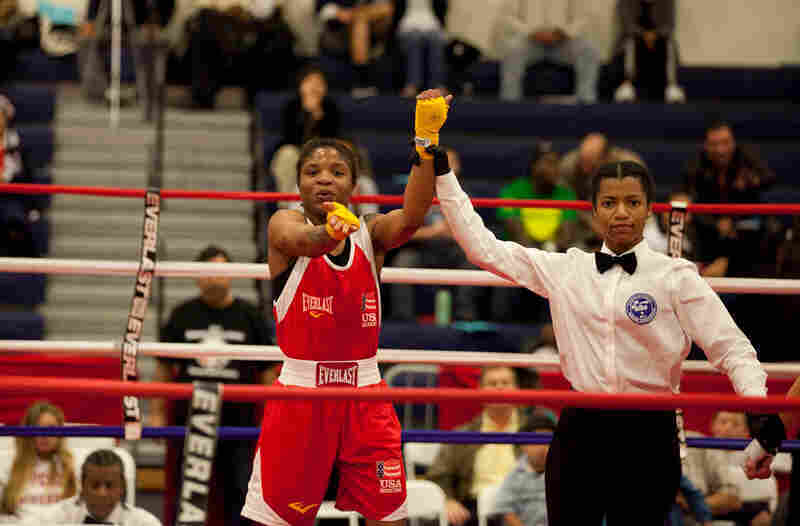 Now, at 23, Douglas is one of 24 fighters competing for three spots on the first ever U.S. Olympic women's boxing team. When she was 16, Tyrieshia Douglas was arrested for street fighting. 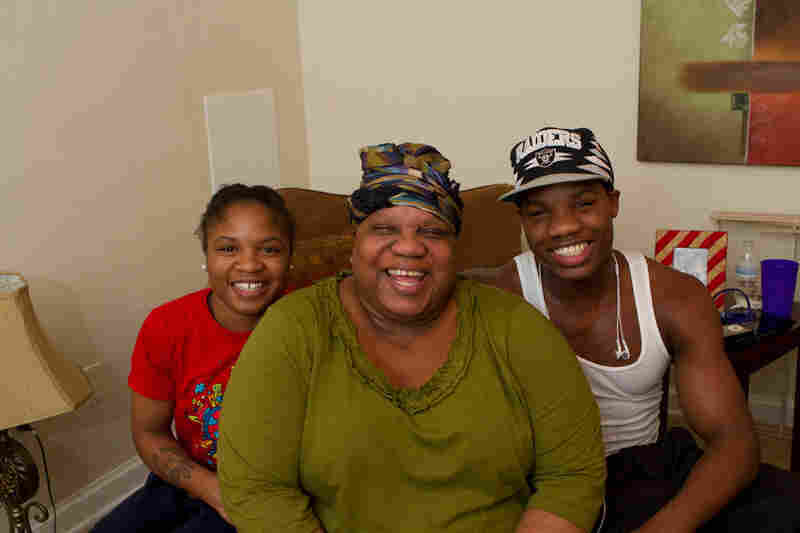 As she remembers it, her juvenile court judge recommended she take up boxing. Now she's a 23-year-old living in Baltimore with her heart set on winning one of the first gold medals in women's boxing, a sport that will make its Olympic debut this summer. "When I get in the ring, what am I telling myself? 'Stay calm. Stay calm! This is my ticket,' " Tyrieshia Douglas says. Douglas and her brother, Antoine, are the first brother-sister duo to qualify for Olympic team trials for boxing. 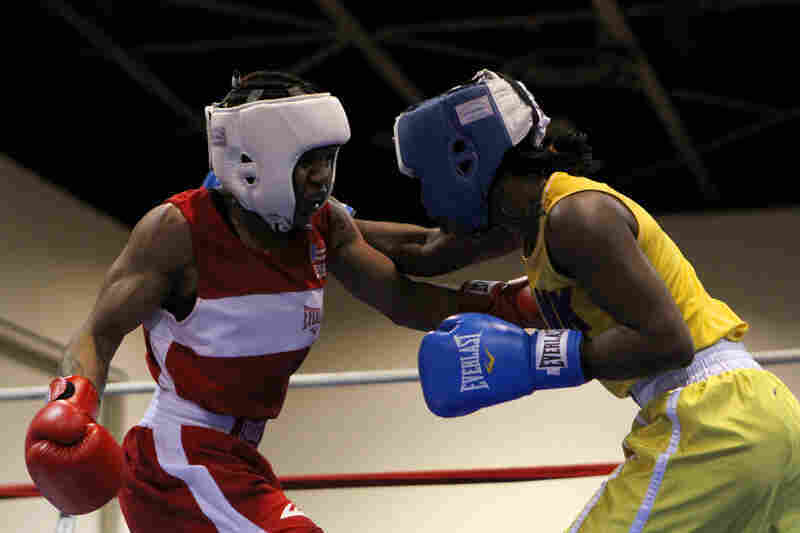 Their parents' drug addiction problems sent the pair in and out of foster homes, but today, Tyrieshia accompanies her mom, Annette, to Narcotics Anonymous meetings in Washington, D.C.
"I'm not only doing this for me, I'm doing this for the world," says Douglas (left), shown here in a 2011 boxing tournament. " 'Cause if I can do it, the next individual can do it. Just to see someone get that far in life, that's all I want to show, is that you can overcome anything and be anything you want in life — and I am gonna be that woman." Douglas gets examined by a ringside physician after a fight. 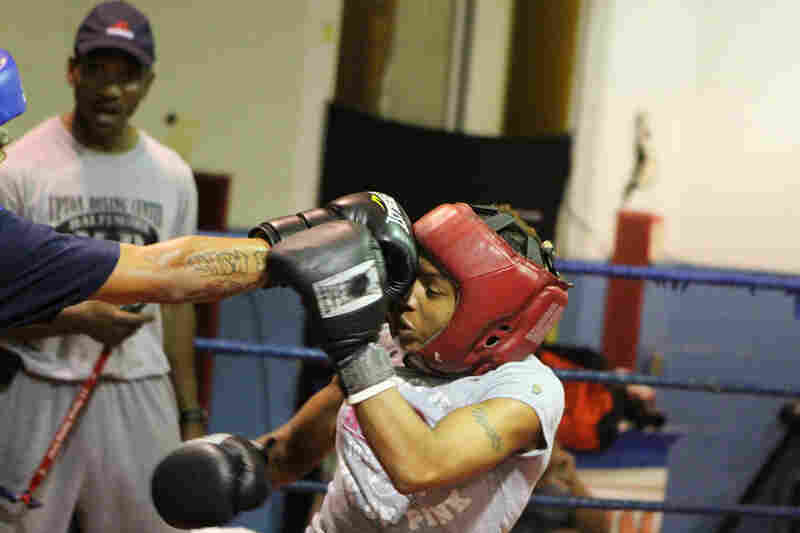 "Boxing is not easy," says women's boxing coach Christy Halbert. "If you are strong enough to stand up against all the odds that you face, there is something within you that is special." Douglas, 23, cools down after a fight. "It's against the rules to have as many muscles as I have," she says. "If you can get hit and hit a person back, you have to have heart," Douglas says. "You might get hurt. That's heart to me." Douglas, who stands 5 feet 3 inches tall, competes in the flyweight boxing class. With her parents often out of the picture while she was growing up, Douglas says she felt she had to stand up for her brothers. "I was out of control, which means if you say anything to me, I will break your face; and that was the end of that." Photographer Sue Jaye Johnson has been documenting Douglas' efforts, too, as well as those of 23 other fighters competing this month for three spots on the U.S. Olympic women's boxing team. Her photos give a sense of the long road these women have traveled to get to this month's competition — and Douglas' story is no exception. While Douglas was growing up, both of her parents were addicted to drugs. She and her siblings were raised by a combination of aunts, uncles, cousins and foster parents. "I was born into a rough family," says Douglas, who didn't find stability until 14, when a second cousin officially adopted her and her two younger siblings. That same cousin helped introduce her and her brother to boxing. "The first memory that I have of ever seeing boxing ... I was like, 'Oh my gosh that is so amazing — you get to beat up people for free,' " Douglas says. 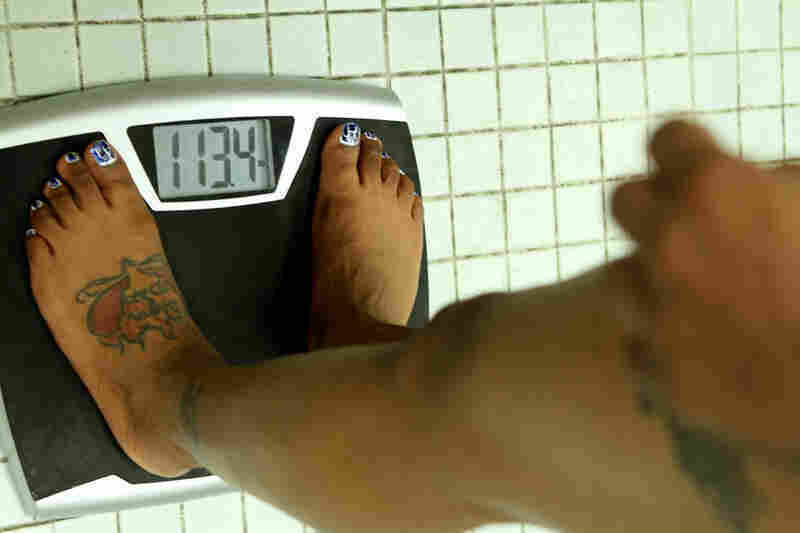 Today, her relationship with the sport has evolved into something far more intimate. "Boxing is my mother and my father. Boxing is my brother and my sister," she says. "Boxing make love to me, boxing kiss me. Honestly, boxing is the love of my life." 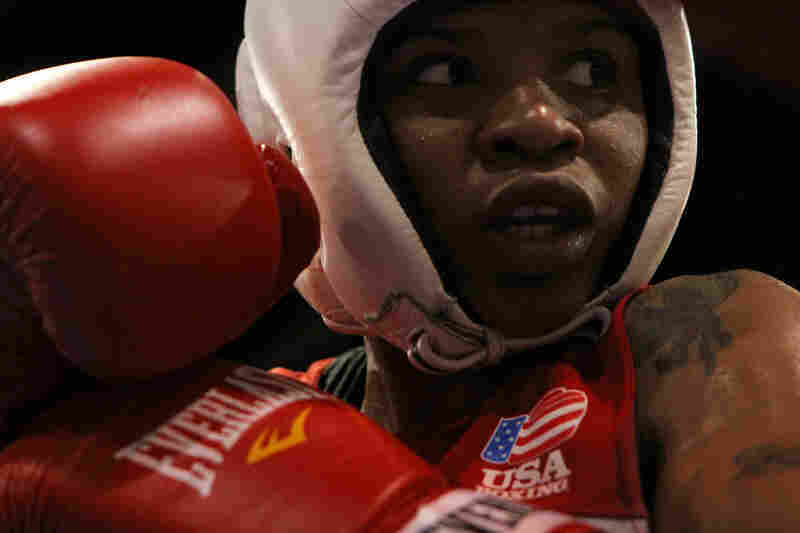 Marianne McCune's report is part of WNYC's series on women boxers, a collaboration with The New York Times. You can see more of Sue Jaye Johnson's work on women boxers in The New York Times Magazine.